There are three cameras in the HERO7 lineup. The most powerful and feature-rich is the flagship Black edition. I'm focusing here on the other two: the Silver, which is in the middle, and the White, which is the entry-level model. 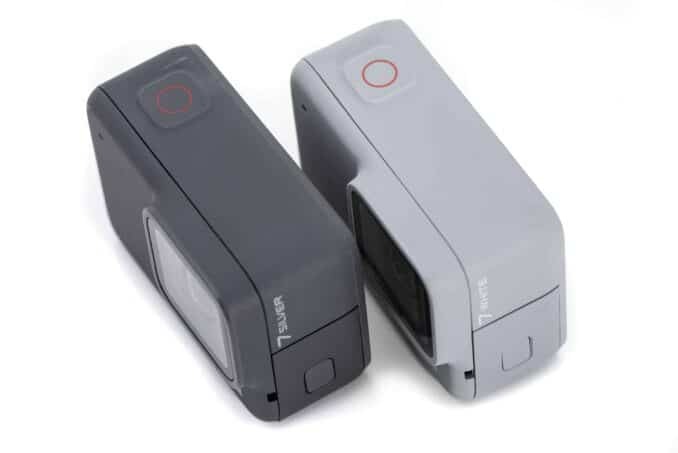 Overall, these cameras are far more similar than they are different. In fact, there aren't many differences at all--four, to be precise. Basically, the Silver can do everything the White can do but has a few extra features. 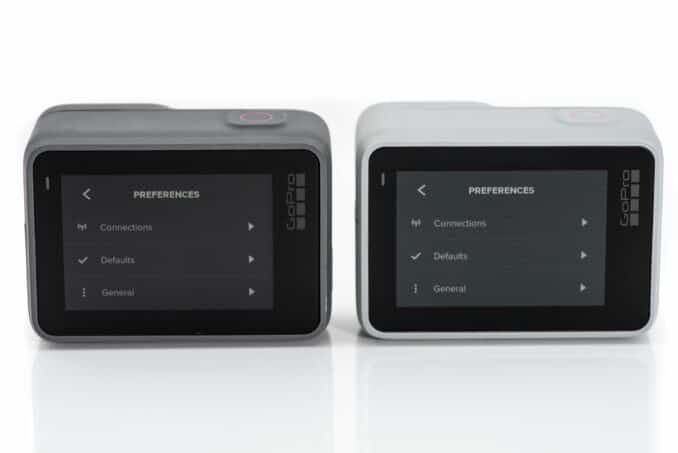 But some of the extra features and capabilities of the Silver will make a difference for some users trying to choose between the two models. Normally with these side-by-side comparisons I go into a lot of detail on all of the key features. But because these cameras are so unusually similar, that doesn't seem to me to be the most useful approach here. So I'm going to focus only on the three differences with the aim of spelling them out in plain English. Hopefully that will then be useful for anyone trying to choose between the Silver and the White. And if you're trying to choose between one of these cameras and a different model of GoPro, you can find more comparisons I've posted, including the HERO7 Black vs Silver and HERO (2018) vs HERO7 White. Aside from being a different shade of gray and having different model numbers printed on the side, they're outwardly identical. They have the same 2-inch screen on the back (and no small screen on the front), the same lens port, the same button and door layout. They're exactly the same dimensions (2.5 x 1.8 x 1.1 inches / 62.3 x 44.9 x 28.3 mm). And they're practically the same weight: 3.32 ounces (94.4 grams) for the Silver and 3.26 ounces (92.4 grams) for the White. At left is the GoPro HERO7 Silver. The HERO7 White is on the right. The menu system is the same new tweaked version that all the HERO7 models use (with variations according to the features available on each model, of course). The Silver is on the left, with the White on the right. The power buttons on the side. The USB-C port and microSD memory card slot. Two of the differences between the HERO7 Silver and White relate directly to shooting video. The biggest and most important difference between the HERO7 Silver and White is that the Silver can shoot 4K video while the White maxes out at 1440p60. 4K is much bigger than 1440p (or 1080p) and records much more detail. I've included a visual representation of the difference in size in a graphic further down this page. But you'll only be able to make use of that extra resolution if you're playing it back on a device that can use it. Do you need 4K? The reality is that many users don't. If you're looking mainly to share some clips on social media or send to friends, then 1440p is probably plenty for what you need. Whether you keep it at 1440p or crop some off the top and bottom to make it the more common 1080p, it looks great on smartphones and tablets and standard HD TVs and computer displays. The places where you'll notice the extra resolution of 4K will be on high-density displays, very large computer monitors, or 4K TVs. Another benefit of 4K is that it gives you far more flexibility to crop when editing the footage while still ending up with sharp and detailed footage because you're starting out with a much larger canvas. One other consideration is that 4K brings with it some complications, mainly because the files are much larger and more unwieldy (thanks to the higher bitrate that's used for it; more on that below). Older, slower desktops and laptops can struggle with 4K footage, especially when editing. The good news is that turning 1440p into the more common 1080p resolution is easy in most video editing apps, including GoPro's Quik app. It just means trimming some vertically, either from the top and bottom or one or the other. This is very much related to the resolution difference. Bitrate is the measure of how much data is being used to encode the video data for a specific chunk of time. With video, it's usually measured in megabits per second, or Mb/s. The higher the bitrate, the larger the file. And also the higher potential video quality (although there are other things that also influence video quality). It means that less compression has been applied. A lower bitrate means that more compression has been applied to create a smaller file. But that compression discards some of the data, which can impact video quality. Ideally, the compression strikes a good balance between quality and filesize. The Silver does have a higher maximum bitrate than the White, but that higher bitrate applies only to the 4K resolution. When using the same resolution/framerate combinations, the two cameras use identical bitrates. 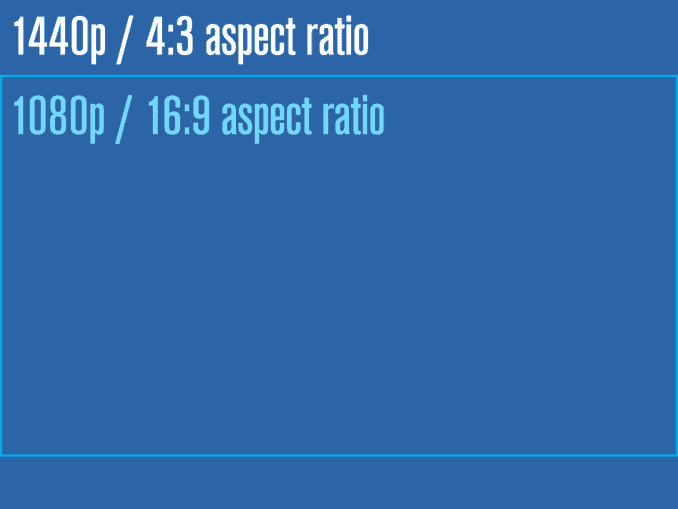 So if you're shooting at 1440p60, for instance, there's no difference. So while it's true that the Silver has a higher maximum bitrate than the White, it's not really a useful difference to help choose between the two models because the higher bitrate is a consequence only of the 4K video mode. One consideration of the higher bitrate is that it's more important to use a memory card that's fast enough to keep up. I've put together some practical recommendations for SD cards for the HERO7 cameras here. 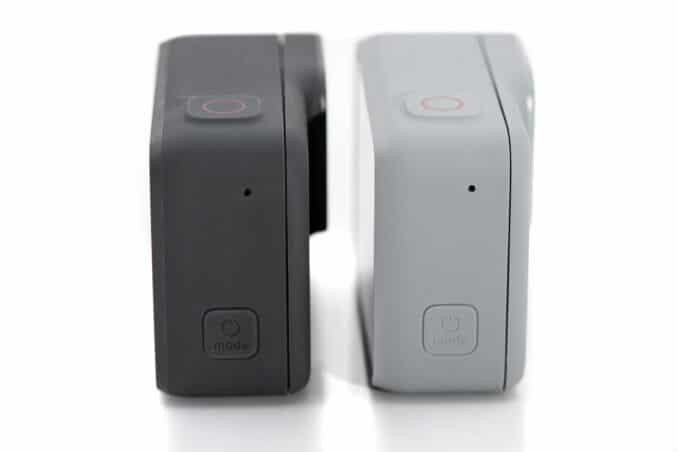 The Silver has a GPS sensor inside that can record the GPS coordinates of where you're shooting the photos or videos. That information is stored in metadata alongside the media files (or, in the case of the JPG photos, inside the EXIF metadata). How useful that is depends on what you plan to do with the video clips or photos. If you're sending the photos to a photo sharing service that can read and display the geolocation data, it can be useful to marking the photo locations on a map, for instance, or even automatic location tagging. It can also be useful in image editing apps like Lightroom as a way of organizing large numbers of images by location. The usefulness of GPS location data is more limited when working with video, mainly because there's no standardized way to tie geolocation data to video files. But it's something that you can make use of with the GoPro Quik editing software or the mobile app. Support in other services and apps is more limited and less standardized. One other consideration is that turning the GPS sensor on uses extra power, which in turn cuts into battery life. The still photos from each camera are slightly different. 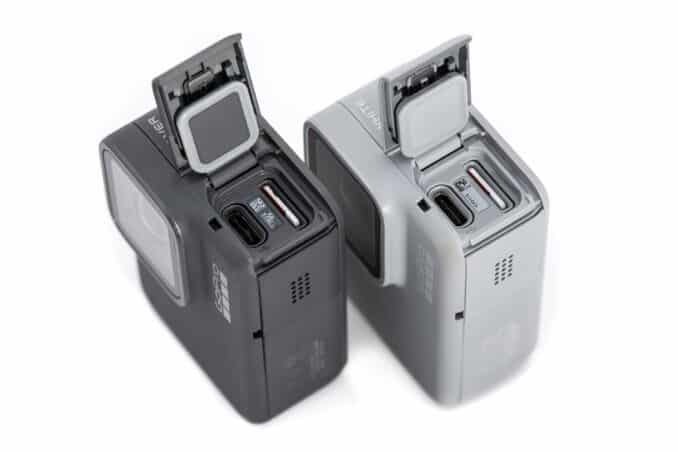 They both produce the same size photos (10MP) and save them as JPGs. But the Silver does some in-camera enhancement known as WDR. It stands for wide dynamic range, and the idea behind it is similar to high dynamic range, or HDR, in that it's trying to recover some detail from bright areas and dark areas (or highlights and shadows) that might otherwise be lost. On the Silver, it's always-on; you can't turn it off. In most cases, it makes a little difference but not a lot. And, frankly, it's a feature that I've been underwhelmed with since it was first introduced with the HERO5 models. As much as I'm a fan of using GoPros for taking photos, the WDR feature isn't something I think is worth factoring into a decision on which camera to choose. 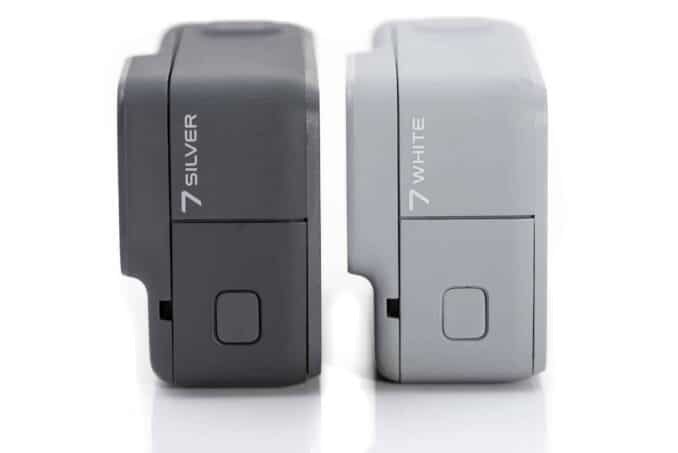 GoPro HERO7 White vs Silver: Which to Get? Overall, the 4K video capability will be the most decisive difference in features in choosing between these cameras. That makes it pretty easy: if you want 4K, go with the Silver. If you don't need it, the White will almost certainly be fine. But there are two other factors that aren't really features in the normal sense of the word. The first is price. 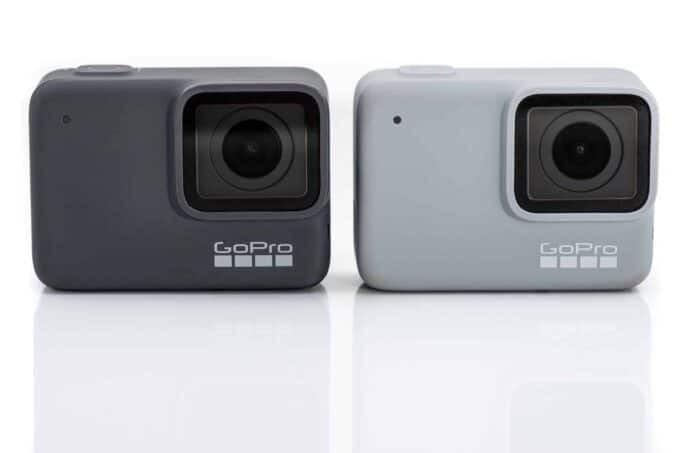 GoPro has priced the White lower than the Silver. And it's not a small difference, at least in terms of their suggested retail price: $299.99 vs $199.99 (that's the MSRP; you might find them on sale for less than that). So the question really becomes: is the 4K capability worth the extra $100 to you? The second is simplicity. Both cameras are easy to use. But for some users, stripped-down feature set of the White will appeal precisely because it doesn't have bells and whistles to get bogged down in. While there's not much in it, the White does have the edge in terms of ease of use. The other three differences between these models--the higher bitrate, the GPS, and the WDR photos--are much less useful for helping to decide between these two models. The higher bitrate is only relevant to the 4K, and while there are certainly users that want and need the GPS, that's probably not a feature that's decisive for most users. And in my opinion, at least, the WDR photo enhancement is underwhelming. I buy most of my camera gear from B&H Photo or Amazon, and you can find both of these cameras there. You can often find them bundled with accessories as well. There's no way to change the field of view in either video or photo modes on the HERO7 White. It has a fixed Wide FOV in both (ie. the fisheye look). The Black is the only HERO7 model that has the Linear FOV, which corrects for that fisheye distortion. There are some options for correcting it after you've shot the footage, using editing software. But even then, it's not as simple as it could be. I've put together a guide to doing it with photos in Lightroom and Photoshop. For video, GoPro Studio also has a correction tool built in, but that app isn't available anymore, and I haven't checked lately whether it works with the HERO7 White files. You can also get good results in full-blown video editing software like Adobe Premiere Pro and Final Cut Pro, but that starts getting more complicated and, potentially, more expensive. One other option that might be worth trying is shooting with the digital zoom. I'm not a big fan of the digital zoom, and you'll lose some image quality, but by focusing on the center of the frame, it does crop out the most obvious signs of the fisheye look that are near the edges of the frame. how come i cant change my hero 7 white do normal instead of fisheye? I am going to French Polynesia this summer. I have purchased a US Diver snorkel set from Costco with a tube that has and attachment on the bottom for a go pro. The box says I need a screw to attach the camera. I have not had a go pro yet and am not a daredevil but since I think this is my one trip to this part of the world I would like some good shots. Which of these cameras would fit the snorkel tube? I have also seen a charger that can fit 2 batteries and is dual current which seems like a good idea after reading your article on how quickly they run down. I did not find your article about SD cards but would be interested. Sounds like a fun trip! I'm headed to that same general neck of the woods myself in a couple of months, to New Caledonia. The screw it mentions isn't fancy--it's just one like this. GoPro cameras come with one in the box, so unless you want spares, you don't need to buy one separately. Any of the GoPros will fit--they all use the same mounting system. There are some waterproof extended batteries available, and I've reviewed the best ones here. But none of the ones currently on the market work with the HERO7 Silver or White. They're also quite bulky, which is not what you want attached to your mask. So I'd be inclined to skip those in favor of a good way to charge the batteries when you're not using the camera (such as getting spare batteries if you have a model that has a removable battery or getting a portable external power brick for one of the other models). 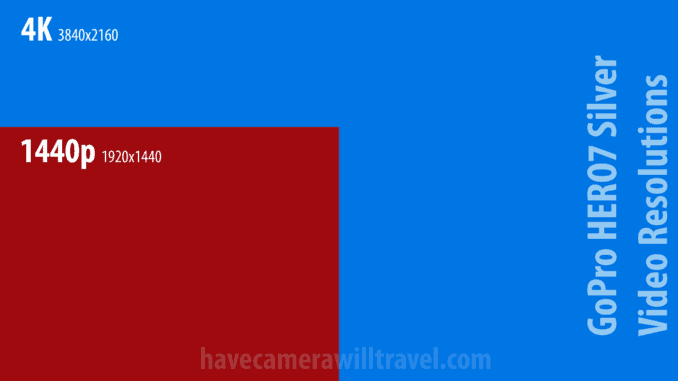 The post on SD cards for HERO7 cameras is here, and this post on using a GoPro as a travel camera might be of interest. Costco only has the black so I think I will go with the white. I rather have an extra day in Tahiti than a camera I am not too sure I will use again. So excited.